One look at the cover of the book will give you the feeling that it is likely a sci-fi thriller. But, in reality it is nowhere close to a sci-fi thriller. It is a different sort of book altogether - somewhat inspiring and motivational. After reading the book, I was left wondering if the cover of the book was intentionally designed that way. The author might have the answer. We all have goals and dreams in our lives. But, sometimes our priciest dreams shatter despite our best efforts. How do one carry on with life after suffering a failure? Where to get the motivation from? How to overcome the setback and get the life back on track. This book by Varun Gautam tries to address these very questions in its own way. To my eyes, there were three main characters in the story - Dhruv, Arjun and Mohan. Dhruv, Arjun's cousin is the one who is narrating the story - the most part of which revolves around Arjun. Mohan is Arjun's best friend, but things becomes strange between them when Mohan strikes a jackpot in life without any hard work. While most of the times, the readers will learn about Arjun's life - at times they also get a glimpse of Dhruv's life. The book has its own pros and cons. The first 50 pages are somewhat confusing because of the way it is narrated, otherwise It is written well. The language used is simple. Through his words the author does inspire confidence and motivation. However, there are certain things which I felt needed more attention. 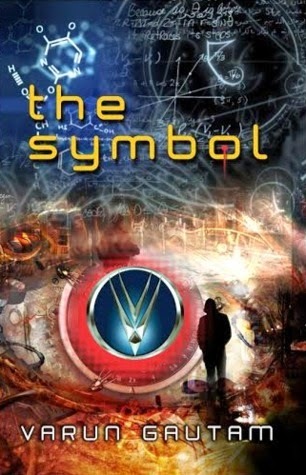 We know Arjun got hold of a symbol - but it is not clear what it is. It seemed like some gadget but the author left it to the readers' imagination. Also, the comparison the author made with the happenings in Arjun's life with how the Indian cricket team was faring was a bit over-the-board. Agreed we are a cricket crazy nation, but drawing parallels between these two didn't feel right. Overall, it is a commendable book for a debut author. Need some dose of inspiration? You can pick it up. I should have posted the review of this book months ago. But, as fate would have it, it got postponed indefinitely. I received this book as a review copy from the publishers and hence, I have been feeling guilty for not taking out the time to post the review here. Finally, I am penning down my thoughts about it and I am feeling good. The 'metamorphing' in the title of the book is essentially 'metamorphosing'. I guess the author used metamorphing' for sheer convenience. When I first had a look at the cover of the book - Metamorphing by Kunal Pancholi, I gave me a eerie feeling. 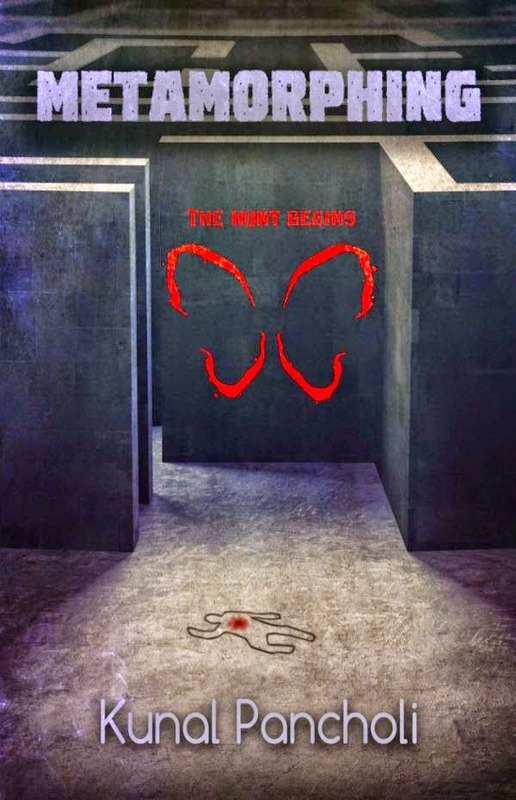 The cover depicts a murder site and it says - The Hunt Begins. It had been a while since I read a murder mystery, so I was really looking forward to find out what this book had to offer. Before delving further deeper into the story in the book, I must share what the blurb of the book has to say. ROHAN: I was shorter than the shortest girl in school; I had to be ahead in the game! RUDRA: "Was I a private detective? What kind of sinister case am I getting into?" "A thrilling tale about two men bound by an untraceable yet undeniable fate. One running away from his past, another unaware of his own." If you think you have an inkling of what is happening in the book, then you are likely in for some surprise. As is evident there are two main characters of the story - Rohan and Rudra. The story is narrated in first person by these two characters in alternate chapters. That can get quite confusing if not done right, but in this book the author has done a commendable job in maintaining the clarity in the narration. The language used in the book is simple and easy to understand. The two narrations, although completely different seem to complement each other quite well and build the tempo in the story. I would not want to reveal anything about the story than what is already revealed in the blurb, as that would definitely be a spoiler. I would not be surprised if the author came up with a sequel of the book in future. This book is a good choice for reading in journeys - it will surely keep boredom at bay.